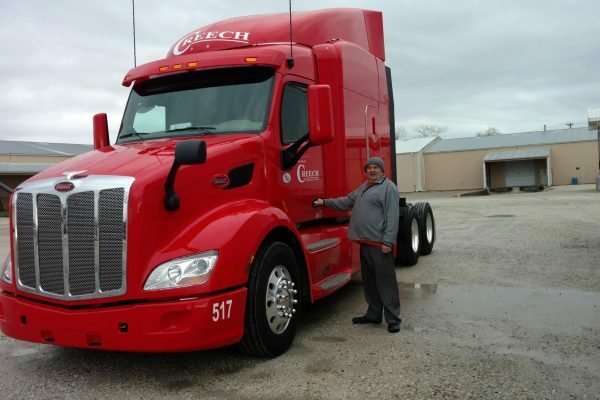 Creech Logistics, Inc., a family owned and operated business located in Troy, Mo, is equipped to be your one stop logistics provider. We provide our clients with everything you need to have your distribution needs covered. We pride ourselves on having the best equipment as well as the best employees in the industry. This allows us to consistently serve you, the customer, with the level of service that is second to no one. We are equipped to handle all your warehousing needs, as well as transportation to 48 states via our air ride equipped reefer and dry van trailers, or through our brokerage department utilizing a carrier within our network. But what this means to you, one phone call, one provider, and all of your transportation needs are covered, which then allows you to focus on your primary business. Regardless if you are moving 20 tons of ice cream or you need a facility to store your goods and have them delivered at a later date, Creech has you covered.